Today we discuss How to invest your money? 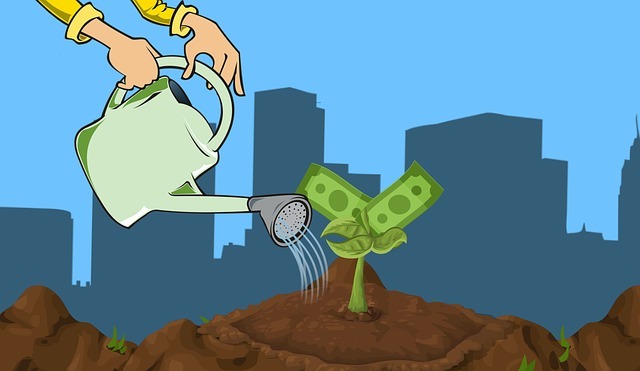 14 Guides to Grow your money under Guide how to start your own business, Be your own boss. · Appreciation of value from a stock portfolio, real state or other assets. After you became an investor, you will begin to devote your limited resources to the things with the largest potential for returns. As we mention above investing is not a simple thing. You need to know about a lot of things to do before you invest. If you are the success you will save your money and grow your money by achieving a high return. But if you fail with this you will lose your money as well as time and other resources. But one of the benefits of your fail teach you how to do investment? Experiences about What you should do and shouldn’t do? However, before you invest your money you should have a better understanding of below necessaries. 2. What is the purpose of Your money investment? 3. Where to invest your money? *The best way to invest your money: Don’t buy anything until you invest in educating yourself about the market. Return amount (profit) of your investment. Higher ROI rates are encouraging more investment. Your investment for short term or long term? 6. Is it Legal or illegal investment? If your investment is legal you can get your return without any issue. Because it is safe. But you invest your money in an illegal way maybe you can get a high return but your investment is not safe. You will have legal issues and high risk for lose your money, return and resources. Before you invest your money in an investment method you should have a better understanding of all legal requirement related to your investment. That will secure your investment and prevent making any issues in the future. Most popular thing is high-risk investment gain high profit and low-risk investments gain law profit. But if you want to succeed with your investment without high risk your key is High return with low risk. Always try to earn a high return with low-risk ways. That risk comes from not knowing what you are doing. If you invest some investment way which you don’t know very well, then you have to face high risk. So always try to invest with low-risk ways which you well-known investment way. There are a lot of investment ways but if you can invest your money in some invest which you know, then you haven’t to do nothing more. If investment your money in well-known investment way, it will easiest way to make an avoidable mistake is getting involved in an investment that is overly complex. If you invest your money in unknown business, your invested money and will be lost. Also your valuable time and other resources will be waste. So it’s better to invest your money in well-known business. If you don’t know but you interested in some business to invest, then Don’t give up your interested, first well study about that business, then evaluate and analyze about that business, their opportunities and do SWOT analysis. Finally, if you have a better understand and confidant about than business don’t wait, immediately do your invest at that right time. Many mistakes can be avoided by staying within our circle of competence and picking up a Crayola. If you can get a reasonable understanding of business and those businesses meet with your standards, you can do your invest. 10.Should need Compromise Business quality or Return on capital? If you think to invest your money in only high-quality business, you are wrong. It’s better to invest your money without compromise on business quality. Because for identity high-quality business is much more challenging. However, without compromise on business quality by different methods, you can do your invest by compromising the quality of the return on invested capital ratios in those business or industries. 11. Is Diversification a better idea? Most of the new individual investors invest their money in diversification to mitigating their risk. As a beginner of investing It’s a better idea to invest in diversification. By diversification, they own between 30 and 60 number of stocks across a number of different business and industries. However, many mutual funds own hundreds of stocks in a portfolio. Diversification is a sum of hundreds of stocks or investments across a number of different business. So an investor will receive profits as well as loses. With diversification, an investor can prevent loses and earn profits So Risk of lost money will mitigate. As a beginner of investments diversification is a better idea. But diversification idea for the long term is not good. If you invest diversification to mitigating your risk you cannot get the return of your investment properly. So if you are limited only for diversifications you will be lost opportunities for high return of your investment rather than the return of diversification. So it’s better to invest your money in High ROI investment opportunities as soon as arise the opportunities. So as soon as you recognized the right opportunity it’s better to put out your money in bulk, not the thimble. It’s better to slimming down your portfolio while investing your money in High ROI investment opportunities. After you invest, follow the businesses or companies on a monthly basis. Do not look at them on a daily basis. But if you invest your money in your own business it’s better to keep in touch with your business on a daily basis and analyze your achievements monthly. Everyone tempted to spend money after their first time of making money. But if you want to succeed with your investment reinvest your profit back to your business or investment. 14.Long term investments or short term investments? Investing is not trading. Investment has a vastly different goal, like trading when done well, is about taking measured risks for discrete periods of time at sufficient volume as to generate profits, and typically involves wild swings in profitability. Always remember that Investing is about minimizing risk to generate wealth over the long term, not generating short-term profits. With that saying you should never buy businesses with the intention of selling them. You should more careful with your investments so you need to spend more time look at your business or investment way. Your favorite holding period is forever. If you have a better understanding of the above points you will succeed with your invest. Remember Investing isn’t rocket science, but there is no “Easy button”. You cannot grow your money and became a rich person from one night. For that, you have to learn and study a lot of things about the market. After you have better understand about market and investment ways, You can invest your money. We will meet another post about investment guide in the future.